British Ordovician and Silurian Proetidae (Trilobita). Robert M.Owens. 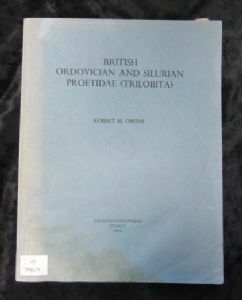 Palaeontographical Society Monograph 1973. Softback. 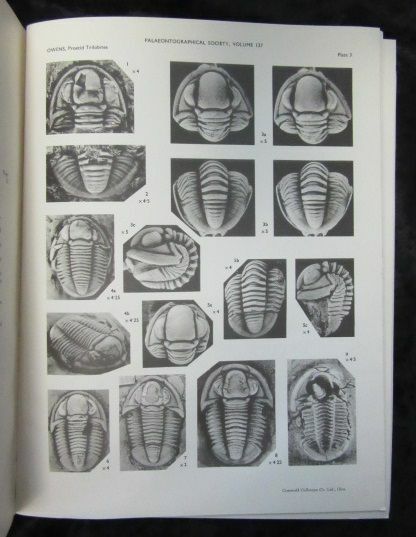 98 pages and 15 plates of fossils.Ex University Library copy. 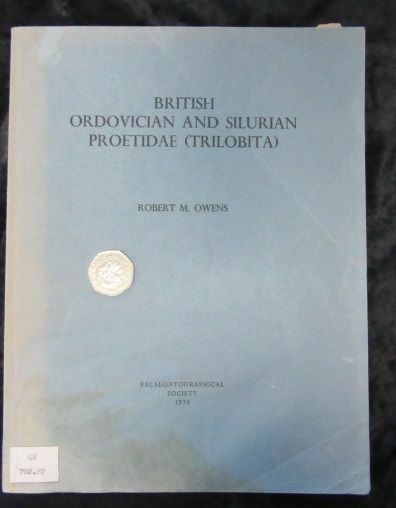 The classic reference book on British Proetid Trilobites. Some fading along the spine on the cover, otherwise in excellent condition.